The duration of this piece is 2 minutes and 30 seconds. This duet has interesting interplay between the two parts. It is suitable for players of intermediate ability. The time signature is 3/4 and the tempo is Andante. 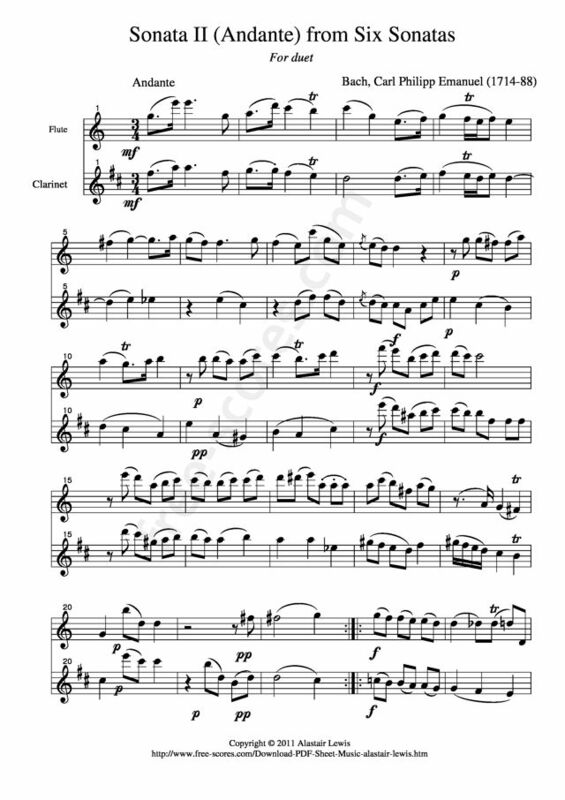 This is a free sheet music for flute and clarinet duet. The origins of the term Sonata are in the Latin and Italian word 'sonare' meaning "to sound". The term was used to indicate a piece of music played on instruments rather than voice. There were two classes of sonata in the Baroque era : 1) The "sonata da chiesa" (in English : "Church sonata"), 2) and the "sonata da camera" (In English : "chamber sonata") proper for use at court. In the classical era the term sonata became more important and ultimately was used to designate the fundamental form of organization for large-scale, multi-movement works. 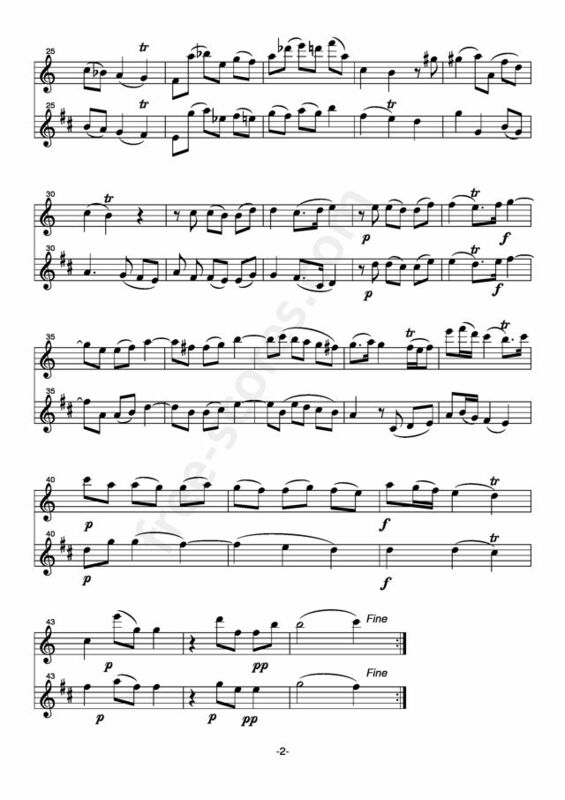 13 scores found for "Andante from Sonata II"